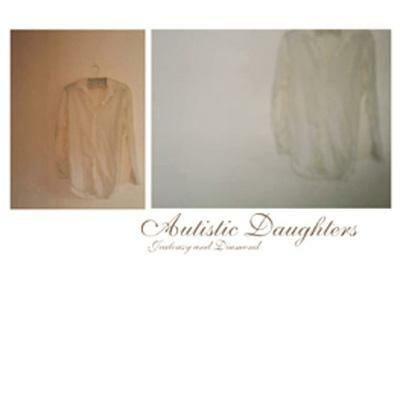 THE Autistic Daughters is the trio of New Zealander DEAN ROBERTS and the Viennese MARTIN BRANDLMAYR (RADIAN, TRAPIST) and WERNER DAFELDECKER (POLWECHSEL). 'Jealousy & Diamond' is the groups first album. The basic tracking was put down in Vienna, then over a period of a few months Roberts recorded all the additional parts, vocals at Valerio Tricoli's studio in Bologna. The trio then mixed it. Dean Roberts plays guitar, vocals, harmonica, harmonium and percussion, Martin Brandlmayr plays drums, vibraphone and electronics and Werner Dafeldecker plays electric bass and contra bass. Guests: VALERIO TRICOLI (loops, Campanelli, b-vocals) & ANTHONY GUERRA (guitar, Palermo hand-clappers union).